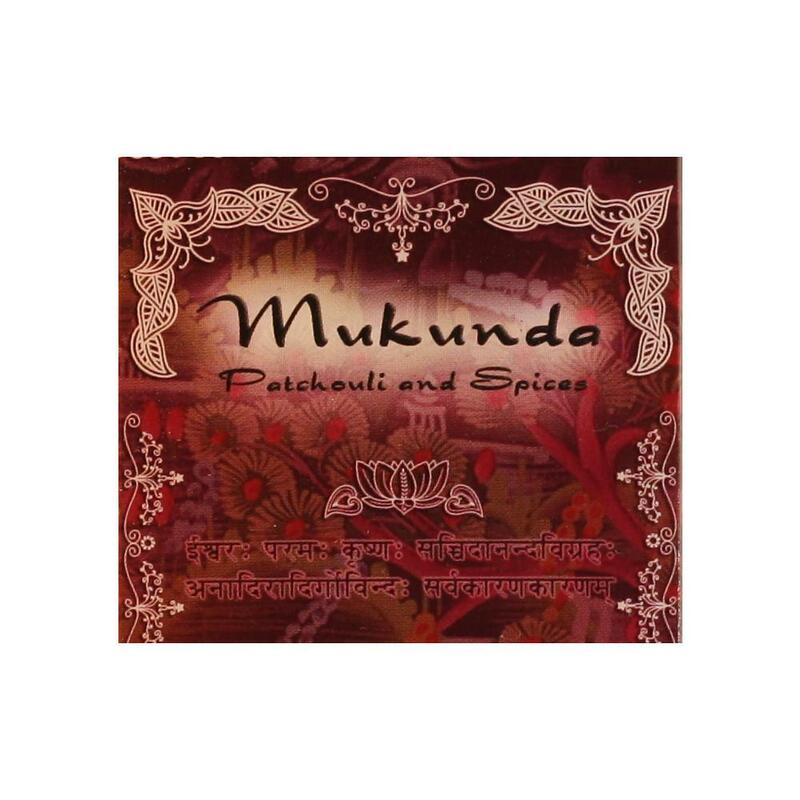 Mukunda: The one who liberates. Qualities: Giver of liberation from all life’s miseries and from the influences of "Karma", cause and effect. 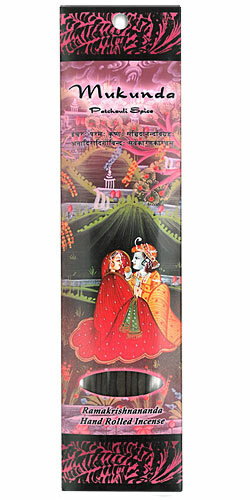 Qualities - Giver of liberation from all life’s miseries and from the influences of "Karma", cause and effect. 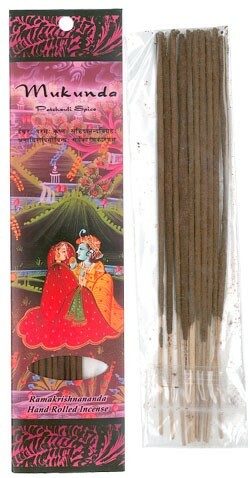 This exotic stick incense is hand-rolled by artisans in India’s cottage industry and blended in accordance to ancient wisdom. 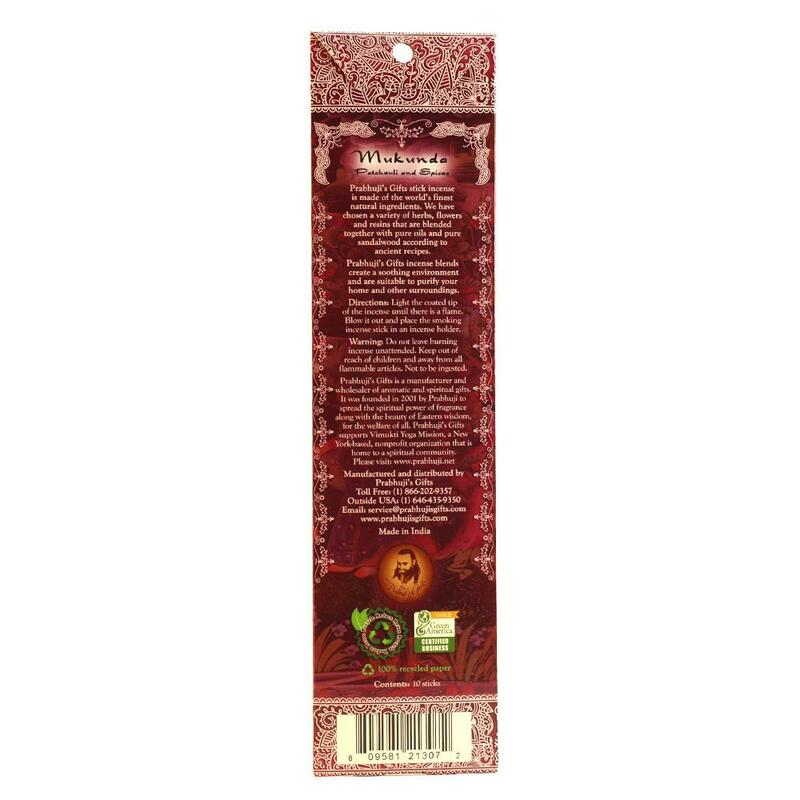 This natural and woody Oriental fragrance creates a spiritual atmosphere. Aroma: This scent features Patchouli, Rose, Vetiver, and Peach.